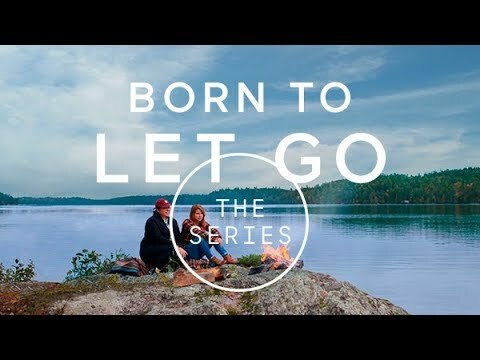 We are thrilled to present a new series on Québec: Born to Let Go. Created to promote the destination in the French, U.S. and Ontario markets, the series follows two pairs of travellers as they discover the province. It was created by the Alliance de l’industrie touristique du Québec, the organization in charge of promoting the destination to markets outside Québec through the QuébecOriginal brand. The Alliance created this web series with Cossette, Hearts & Science, Cult Nation and Post-Moderne. It was developed in collaboration with the tourism industry and Québec’s regions. We no longer travel just to check destinations off a list. We travel to have powerful, transformative experiences that create lasting memories and leave an indelible impression. And creating a strong emotional connection with potential travellers takes time. The series can be viewed on the province’s YouTube channel (Tourisme Québec) and was designed to be watched more than once. The episodes are extremely detailed, providing information on places and experiences that are fun to discover in depth. The campaign’s media placements are targeted to each market and present tailored content in the audience’s language to attract them to the Alliance’s ecosystem. Users are redirected to YouTube or to the destination’s website where they are encouraged to watch the entire web series. Contents are available with subtitles to allow users from many different countries to watch them. Once they are in the Alliance’s ecosystem, users can access all complementary content to get inspired and learn more. For example, they can discover more about the experiences highlighted in the videos and find out how to add them to their itineraries. The episodes on Montréal, Québec City and the Outaouais were developed in partnership with each region’s tourism office. The content and tone were adapted to reflect the positioning of each region while simultaneously conveying QuébecOriginal’s brand image and communications platform. Our tourism industry is filled with passionate people who work hard to make Québec shine. Spending time with them allows viewers to gain a new perspective, to learn more about a place and to immerse themselves. It also helps them let go and become open to something new. To introduce them to the world, the Alliance teamed up with travellers from our priority target markets: Ontario, the U.S. and France. The travellers’ itineraries and experiences were chosen according to the target markets. The first four episodes share the experiences of Alex Vizéo and Steven Herteleer, friends and globetrotters from France who travel for fun and for work. The objective was to allow them to let go and take a break from their hectic lives. The next four episodes follow the escapades of Paola Franqui and Sandra Rodriguez, a close mother-daughter duo who represent multigenerational travel. Paola quit her day job to follow her passion: photography. Her mother came along on her Québec adventure, which allowed the pair to connect deeply by leaving their daily routines behind. Québec singer-songwriter Charlotte Cardin and music producer CRi are behind the official song for the series, a cover of Fous n’importe où by Daniel Bélanger. It’s an ode to escape and a classic vacation soundtrack for thousands of Quebecers. Four additional episodes aimed at the Mexican market are planned for fall 2019. Mexican actor and blogger Alan Estrada, who was part of the Alliance’s previous Québec promotional campaign, visited the province again, this time to discover its winter tourism offerings. The Alliance is dedicated to making Québec a world-class tourism destination. It is an agent of Tourisme Québec in the marketing of the destination outside Québec. It speaks on behalf of 10,000 tourism businesses, which are represented by 40 regional and sectoral partner associations. A partner in the success of the industry it unites, coordinates and represents, the Alliance supports and participates in the development of Québec’s tourism offering and its marketing. The Alliance helps raise the destination’s profile in Canada and around the world and increase the economic benefits for Québec. Cossette was named Agency of the Year in Canada in 2016, 2017 and 2018. It currently has offices in Halifax, Québec City, Montréal, Toronto and Vancouver, and has been making strides to become a major player in the global advertising community. To learn more, visit cossette.com.